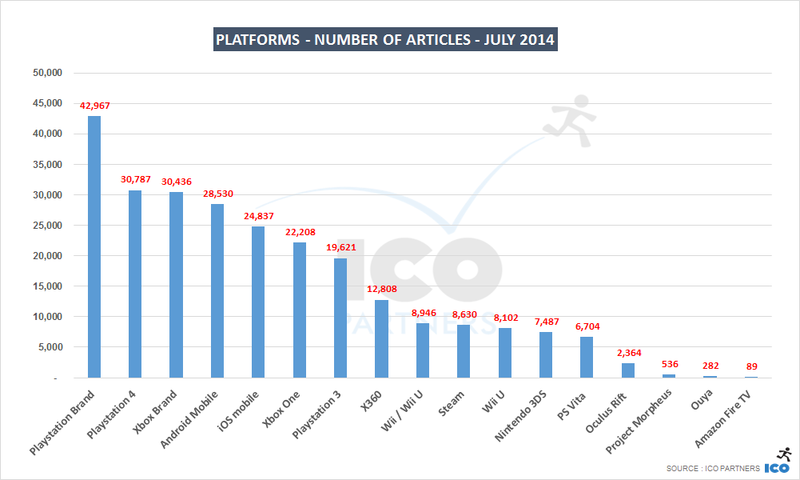 With gamescom behind us I now have some time again to look into the media trends in the games industry. I will do a writeup on the effect of gamescom itself, the way I did one for E3, but in the meantime here is the data for the month of July. Overall, we can see a drop in console mentions as June was benefiting from the extra media attention E3 brings. The same trends remain though, with the PS4 getting about 30% more coverage than the Xbox One. We can notice the effect of the Google I/O effect, taking it well above of iOS for the first time since I started tracking them. On the game front, Destiny is ramping up ahead of its launch in a similar way vein as Titanfall and Watch_Dogs did earlier this year. There seems to always be one blockbuster leading the way of the media attention. The presence of Last of Us next to Destiny though is quite impressive for a game that had been first launched a year ago. The stories around its remastered version and the One Night Live performance made its presence strong in the news. 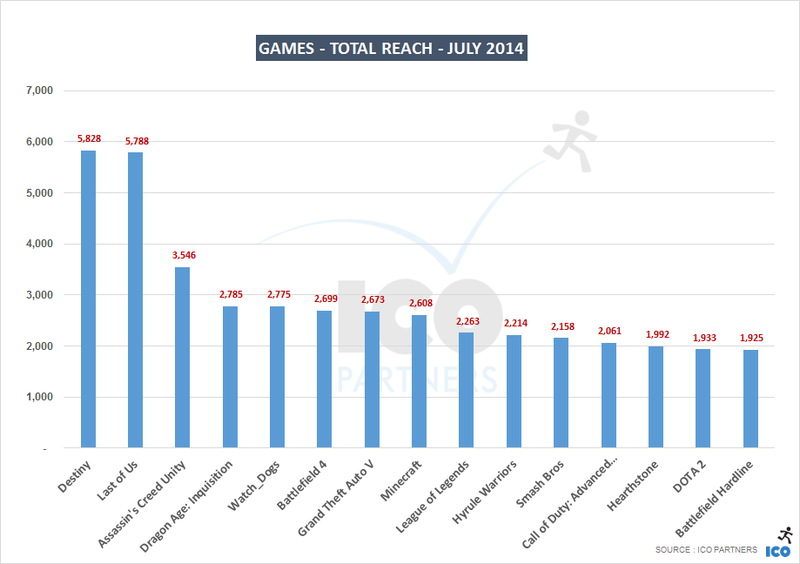 Of interest as well is the presence of both League of Legends and Dota 2 in the top 15. The extra coverage LoL got through its cinematic trailer, added to the regular news around the game updates and its eSport scene. Dota 2′s coverage is mostly due to the 4th edition of The International event for the game. The fact the game was covered by ESPN2 also added to the traffic. I wanted also to point to an interesting evolution around events. The SDCC is clearly a major event that gets massively covered, no surprise there. However, QuakeCon, which was an all Bethesda/Zenimax event more than an id/Quake event, generated an impressive amount of coverage and was no doubt boosted somewhat by the Doom reveal. But gamescom is for the next article. 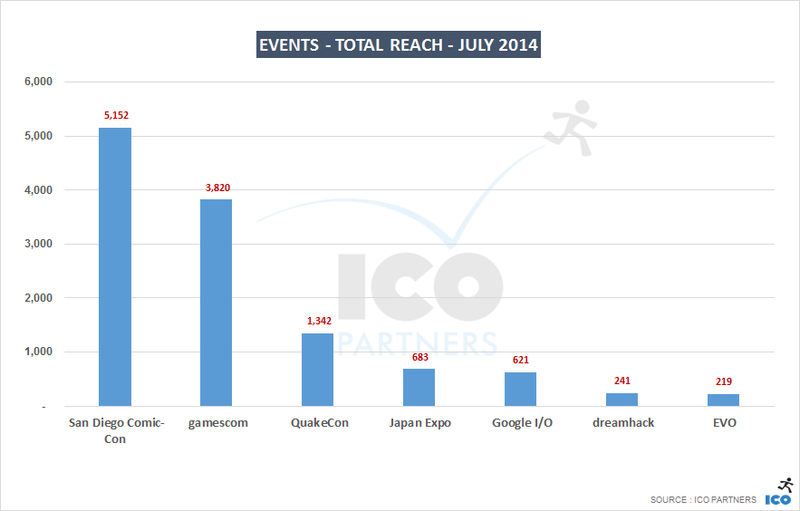 Summer sale – 50% Reduction on the Market research on Turkey PR monitoring – What is the impact of gamescom in the media?